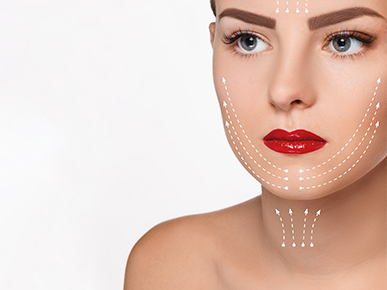 The Botox Cosmetic treatment you may know as a wrinkle-eraser is rooted in medical applications. It was first approved as a treatment for lazy eye and involuntary blinking in the 1980s. In 2000 this powerful purified protein began to give relief to individuals with neck pain resulting from cervical dystonia. 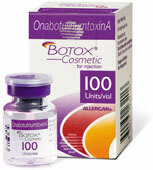 In 2004, Botox Cosmetic made its debut. The Food and Drug Administration approved the formulation for the correction of modern to severe lines between the eyes, known as glabellar or frown lines. Since that time, Botox expanded as a treatment for excessive sweating where topical products failed, and for muscle spasms, chronic migraines, and overactive bladder. When considering Botox to smooth your expression lines, rest assured it is a proven treatment. In fact, it is the only approved treatment to improve the appearance of both glabellar lines and the lines around the eyes caused by squinting (crow’s feet). When considering Dr. Douglas Blose for your Botox treatment, know you are in the capable hands of a dermatologist with extensive experience in a variety of injectable procedures, including Botox. The horror stories you may have heard about these types of treatments are typically related to the provider responsible for the injections, and the setting. You need to choose a reputable medical professional like Dr. Blose, and have the procedure performed in a medical setting. It takes a degree of skill and good technique to get desired results. Since it is a medical procedure, you are at risk for a number of serious side effects ranging from breathing and swallowing difficulties to the spread of the botulinum toxin ingredient to other parts of the body. When in skilled and qualified hands, the effect of the toxin is limited to the site of injection. Again, these reactions should be limited to the treatment site and are temporary. You may see the results of Botox within 1 to 2 days, and should expect to maintain those results for around 4 months. To find out more about Botox cosmetic treatment, visit our office in Downey at 11525 Brookshire Avenue. Botox Specialist Near Me in Montebello - Montebello residents ask, "What Botox specialist is near me?" Botox Montebello - Happy Montebello clients trust dermatologist's experience with Botox.